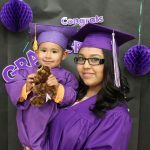 Through a unique public-private partnership, Denver Public Schools and Florence Crittenton Services provide on-site high school academics, after-school tutoring, and post-secondary readiness to pregnant and parenting girls ages 14 to 21. 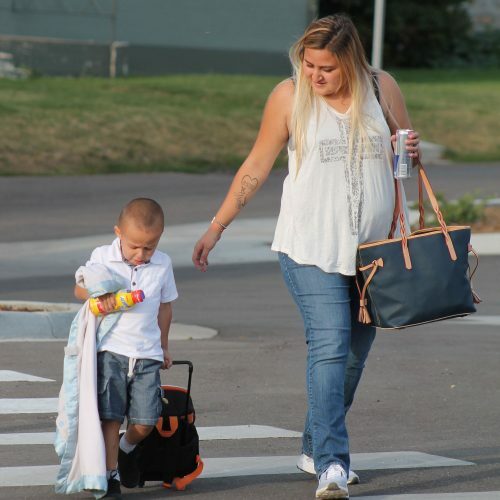 New mothers receive at least six weeks of homebound academic and social-emotional support while on school maternity leave. 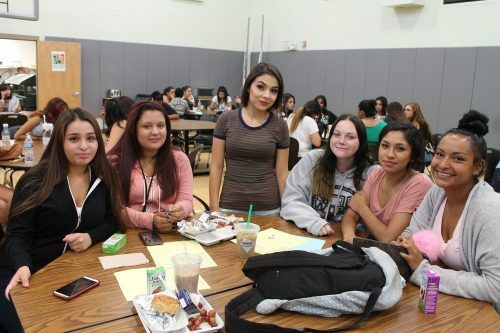 In addition, teen mothers enrolled at the high school are able to participate in concurrent enrollment college courses, allowing them to take remedial coursework and first-year classes while still receiving the social-emotional support and child care from Florence Crittenton Services which helps them to succeed. 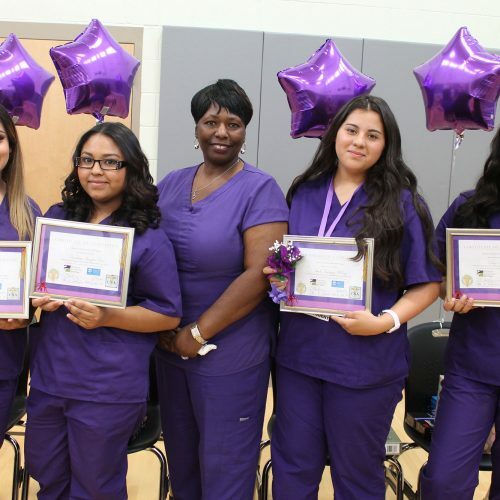 The high school has a state-of-the-art STEM classroom and a Certified Nursing Assistant program with paid internships. It also has a new gymnasium with safe and appropriate fitness equipment for pregnant and parenting students for physical education classes as well as after-school opportunities for the whole family, including yoga, playgroups, and dance classes. Download an informational flyer about Florence Crittenton High School. Descarga un folleto sobre la Preparatoria de Florence Crittenton. The staff and teachers at Florence Crittenton always pushed me to work hard. They believe in me so much that eventually I also believed in myself. Geographic Boundaries: We accept young mothers from across Metro Denver area, including Highlands Ranch to Greeley. Florence Crittenton High School operates on the quarter system. Enrollment is open year-round, meaning young mothers can join us at any time. Courses Offered: Florence Crittenton High School offers all the courses required for high school graduation and a diploma. In addition, electives offered include cooking and nutrition, and parenting. Grading Procedures: Ours are similar to other DPS schools. Attendance is very important at Florence Crittenton High School. Students who miss more that 10 class periods/quarter cannot receive higher than a “C” in that class. Earning Credit Potential: If students are enrolled full-time and receive passing grades in all their classes, they are able to earn 20 credits per quarter or 80 per school year. Hours of Operation: The Florence Crittenton High School is open from 7:30 a.m.-3:30 p.m. Monday-Friday during the regular school year, with classes in session from 8:00 a.m.-3:15 p.m.
Summer School: The Florence Crittenton High School offers a Summer School session in June. School is in attendance from 8:00 a.m. – 12:15 p.m. The Early Childhood Education Center is open for the children of teen mothers enrolled at FCHS during this time. Are you a young mother? Call 720.253.5755 for more information about registration.